Are you feeling any pain or discomfort in your feet? The most common symptom we treat here at Vancouver Orthotics is foot pain. Foot pain can be felt in any area of your foot, but today we are going to discuss pain felt in the ball of your foot. When the bones in your foot (called metatarsals) are either injured, inflamed, or abnormal, you could experience sharp pain in the ball of your foot. This could be caused from genetic abnormalities, a thinning of the shock absorbing tissue in your foot, high arches, or that injury you obtained playing on your employee volleyball team. Whatever the cause, custom orthotic inserts could be the solution to your ball of foot pain. Give us a call today, and set up a consultation. Dr. Michael Horowitz offers a 5-Step process for relief & treatment of ball of foot pain in Vancouver. 1) consultation & postural examination, 2) electronic gait scan analysis, 3D foot scan & biomechanical evaluation, 3) custom orthotic fitting, 4) orthotic dispensing, 5) follow up care. 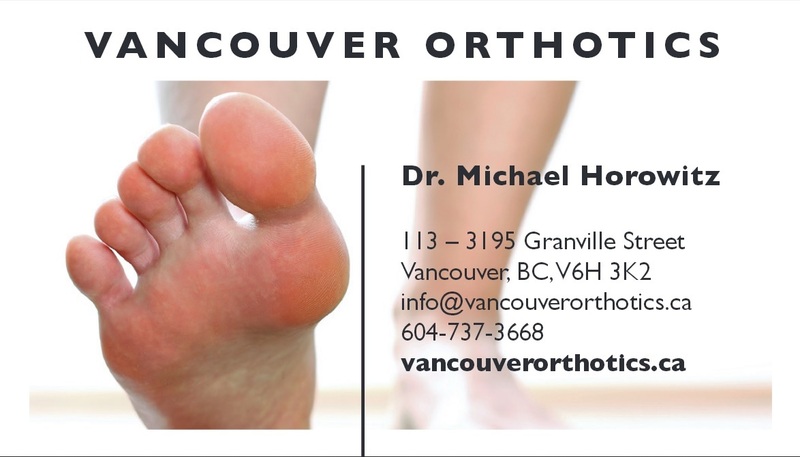 Call me at 604-737-3668 to discuss further or email Dr. Michael at info@vancouverorthotics.ca to take action & solve your ball of foot pain issues today.